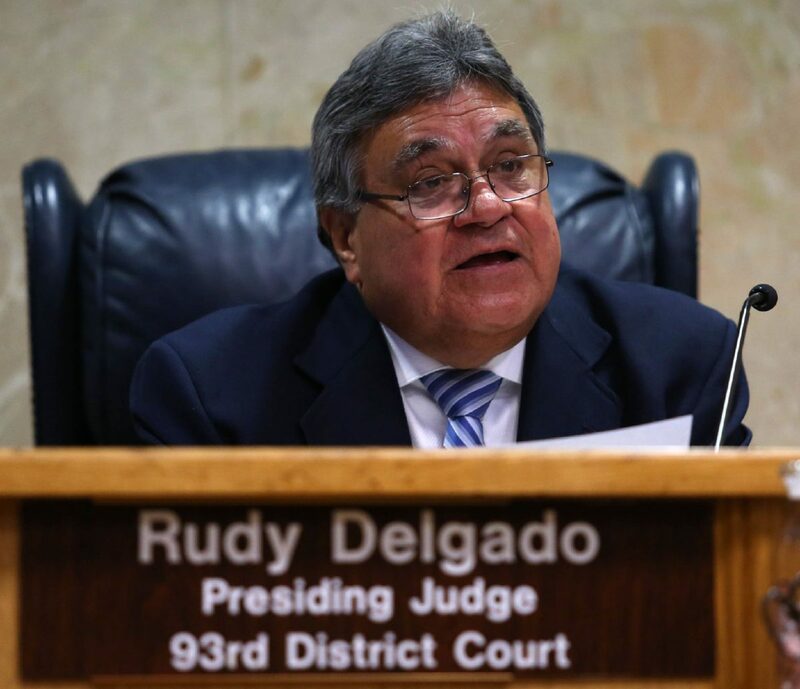 McALLEN — For the second time since his indictment on bribery charges nearly a year ago, an embattled former district judge is requesting that his federal trial be relocated to McAllen, court records show. On Tuesday, Rodolfo “Rudy” Delgado filed a 10-page motion for reconsideration asking that the court reconsider its October 2018 decision to deny his request for a venue change. Delgado sought then to hold his trial in McAllen instead of Houston, where jury selection is scheduled for Feb. 25, records show. In the motion, Delgado’s attorney, Michael W. McCrum, lists several reasons for the request, including a newly proposed policy regarding the very issue at hand for his client — the rules for where the prosecution and trial will take place. The U.S. District Court for the Southern District of Texas is currently soliciting public comments on the proposed criminal rule, titled “Criminal Local Rule 18 – Place of Trial Within The District,” with submissions due on Feb. 15, according to the court’s website. McCrum asks the court in the motion to reconsider a venue change based on the rule. McCrum also argued that government prosecutors’ only reason for choosing Houston over McAllen for the trial venue was due to a “perceived fear of jurors’ bias in McAllen,” but did not provide to the court evidence supporting that premise, according to the document. The second reason cited by McCrum, an argument used in his first motion for venue change filed in August 2018, goes to the allegations against Delgado, which include three distinct charges of bribery, three Travel Act violations, and a charge of obstruction of justice — all allegedly took place within the McAllen division of the Southern District of Texas. Finally, McCrum, again repurposing an argument from his filing in August 2018, said the court should consider the hardship imposed on his client, his witnesses and family if the trial is held in Houston. To support this argument, he included five sworn affidavits from Delgado’s older siblings, who all stated their respective medical issues, which would prohibit them from traveling for the trial. Delgado’s oldest brother, Roberto Delgado, an 80-year-old retired school teacher from Edinburg, said in his affidavit that he and his wife struggle with medical ailments that would preclude them from traveling based on doctor’s orders. Based on these reasons, McCrum asked the court to reconsider the venue change for the purposes of the trial. The government is expected to give a response to the new filing. Delgado is scheduled to begin trial in Houston on Feb. 25, pending any changes or rulings from the court.